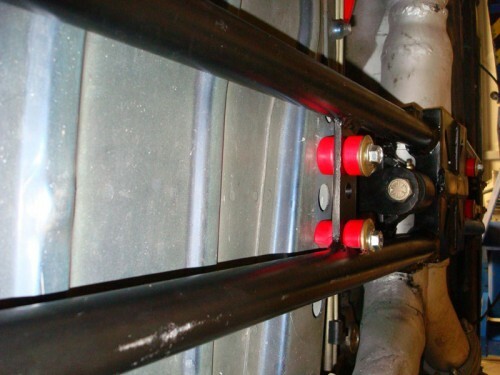 Did you know that Spohn Performance builds custom adjustable torque arms? Well we sure do and we thought we’d share some pictures that Edward Lizotte from Lakeland Florida sent us recently. 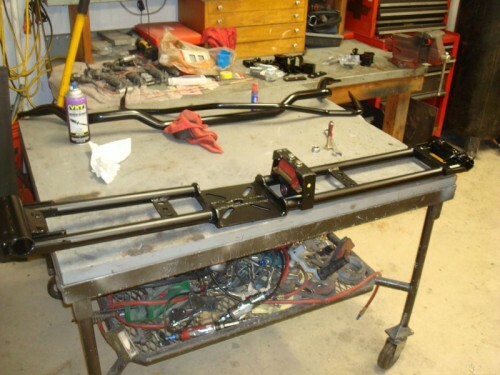 Ed needed a torque arm to work with the custom crossmember set up he built for his 2001 Pontiac Trans Am WS-6. 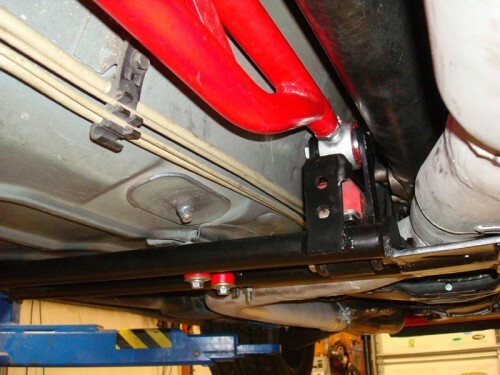 While Ed’s car was already a torque arm suspension car, we mostly build our custom torque arms for customers who want to install a torque arm suspension into a car that had a leaf sprung or other type of rear suspension system from the factory. 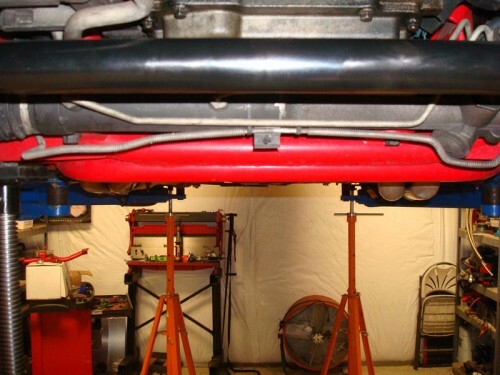 We’ve built custom adjustable torque arms for customers with 1967-1969 F-Body Camaro and Firebird cars, 1971-1980 Vega and Monza cars, S-10 trucks, G-Body cars, street rods… and the list goes on. 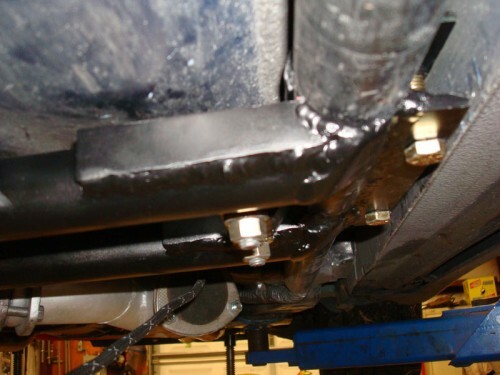 You will need to use a rear end housing with an F-Body style torque arm mount. We can have these built completely bare from Moser, in other words a 9″ housing with a F-Body torque arm mount and no other mounts installed. 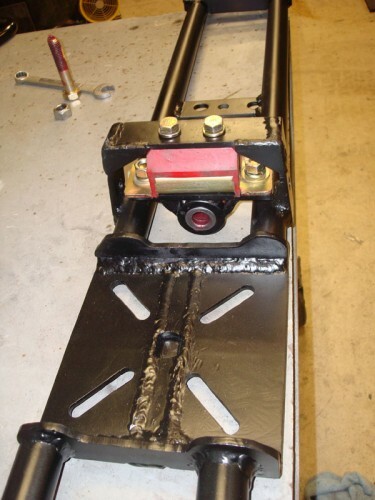 You then simply weld on your own custom lower control arm mounts, panhard bar mount, shock or coil-over mounts, etc. Contact us for more information if you need a custom rear end housing. 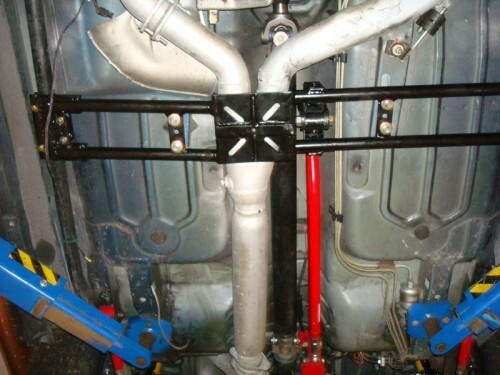 As a customer you simply need to install the crossmember the front of the torque arm will mount to in your vehicle. Then you just need to supply us with one measurement. We’ll ship you a proper length torque arm and the front Thrustator rotator mount to weld to your crossmember, it’s that simple. 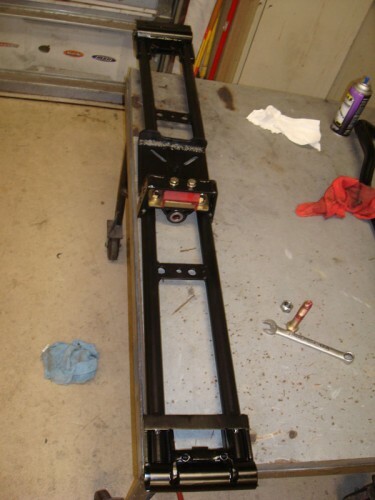 To get more details on our custom torque arms and how to measure – click here! Now on to Ed’s pictures………. Larry Basegio from Aptos, CA. sent in this picture of his most recent trip to the AutoX track. 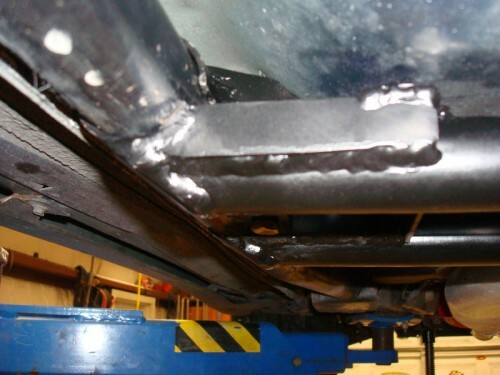 Larry runs a complete Spohn Performance front to rear suspension on his Fourth Gen convertible Camaro. Looks good Larry!